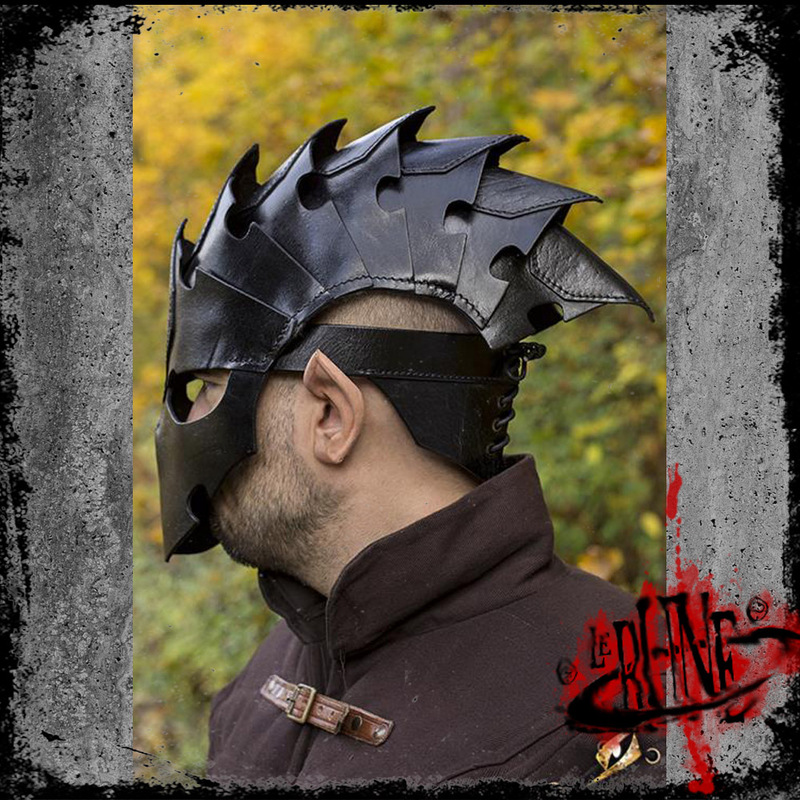 The bestselling Assassin Helmet is an enclosed helmet made from finely crafted, full-grain leather. Its full face-mask has broad eye-holes and a shaped pointed nose to provide excellent vision while still protecting the face with its stiff, durable structure. 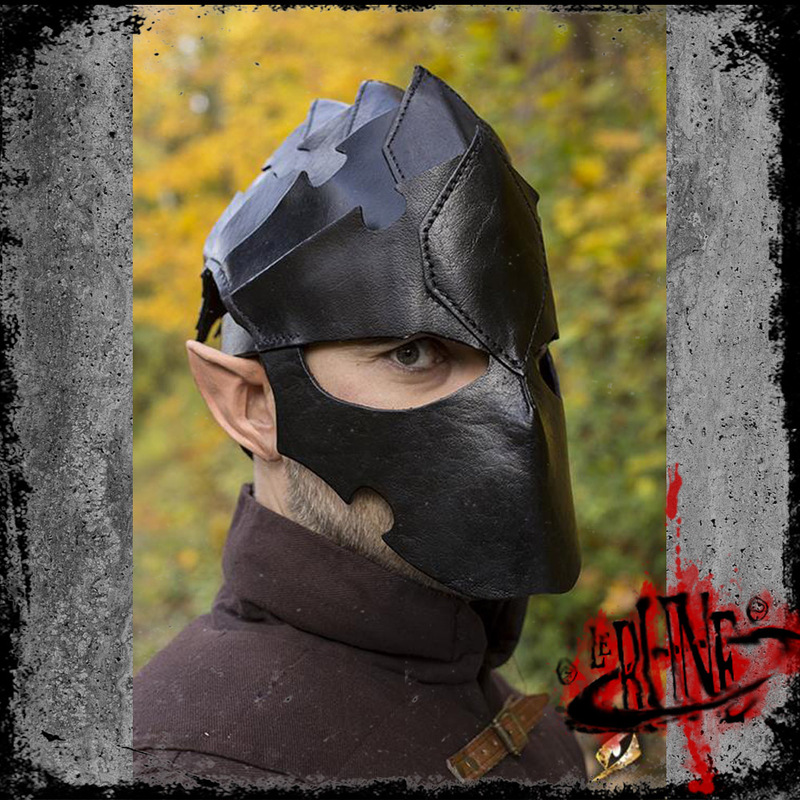 Above the eyes, the face-plate is fitted with overlapping leather bands and a hexagonal patch between the eyebrows. 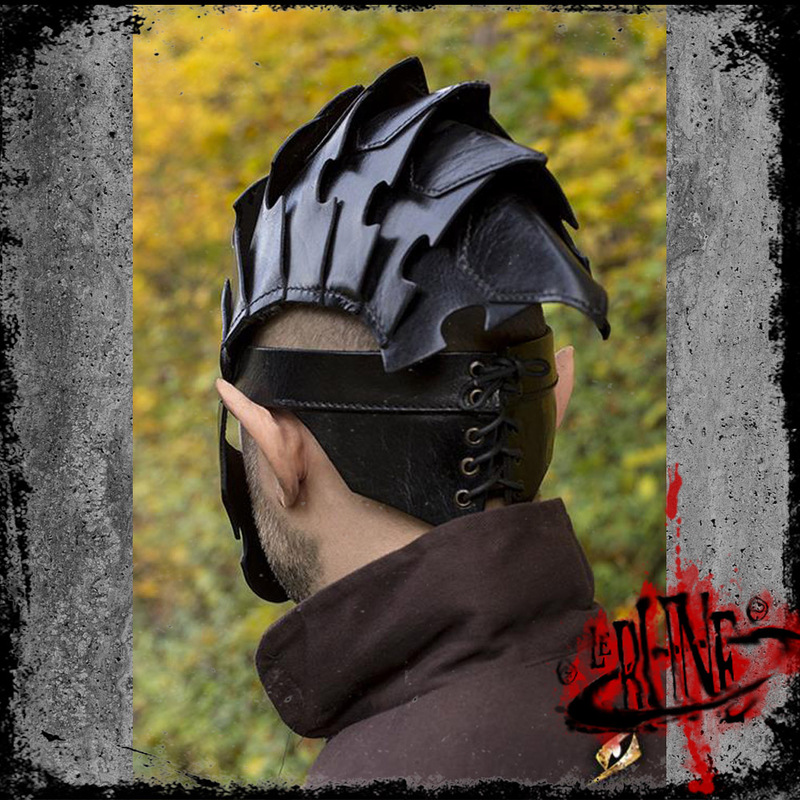 These overlapping plates cover the top of the head and form a distinctive leather Mohawk and elongated skull appearance. The helmet fits over the head and is secured with a corded leather brace along the neck hairline. The Assassin Helmet is fully interchangeable with other Epic Armoury leathers and metals, allowing freedom to customize your character's looks.